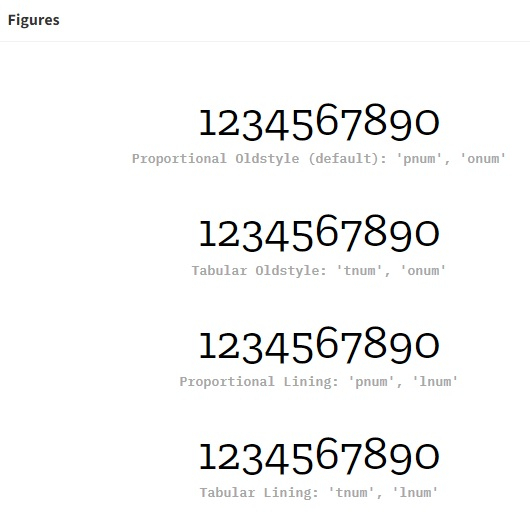 Opening https://beautifulwebtype.com/zilla-slab/ in Chrome or Edge doesn't display the four different figure sets, but only the default figures. In firefox it is right. Does anyone know more about this issue? But when an extra gylph is added to Chrome it works....??? 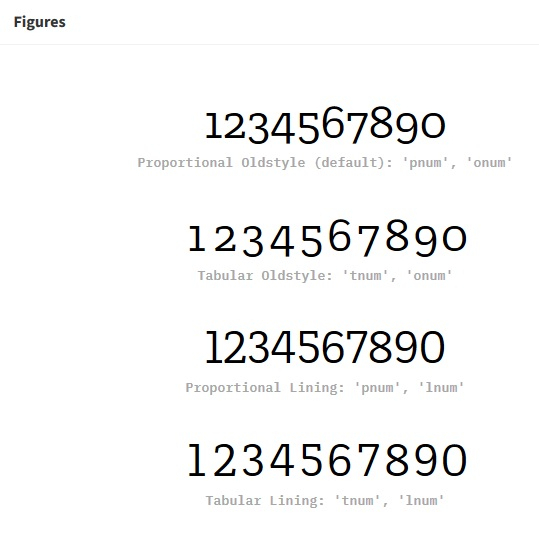 An explanation here would be that since digits are assigned Common script, Chrome is trying to shape them with DFLT OpenType script and the font does not have lookups under DFLT script. Adding a Latin letter will cause them to be shaped with latn OpenType script. Firefox may be falling to Latin when no script is detected. Actually the font contains one lookup in the DFLT script (in the Slashed Zero feature), so removing the DFLT script solves the issue. Microsoft Edge has a similar issue. If you have any feature that is using ‘script latn’, then all other features need to be registered for ‘dflt’ and ‘latn’. George. I just now noticed your reply. Thank you very much!